Today after the boy's baseball double-header, several players and parents went to Buffalo Wild Wings for lunch/dinner. While we were waiting for our food to arrive, I observed a twenty-something woman in the bar area flirting with some men while drinking a beer. I remembered seeing her pull into the parking lot while we were waiting to be seated. Her 3 or 4 year old daughter was with her. I also noticed her a second time, while heading towards the restroom, drinking a beer. While this young woman talked with these men, her daughter sat alone at a high-back table across the room. Her mom would glance over at her every now and then but she didn't appear too concerned with her daughter's emotional needs. I saw this woman finish at least three beers while we were there. All I could think was "Is this little girl going to make it home safely? Would it be weird if I just ran over there and rescued her? What if I just went over there and spent time with her, to help take her mind off being alone?" My mind instantly switched to "Why is that fair? Why does she have a baby and I can't? Why can't she understand how deeply this could affect her daughter's life? Why does my heart have to break over and over again when I see stuff like this?" Internally, I started whining, complaining, and being a victim. But God instantly convicted me of those unacceptable thoughts. I knew I couldn't continue making assumptions about this woman, her life, and her feelings about being a mother. And I certainly could not continue wallowing in "why me" self-loathing. I had to change my perspective. The Lord whispered the word "praise" to my heart. He reminded me that we worship Him with our whole lives, including our thoughts. The more we thank Him for what we have and what He has done, is doing, and will continue to do, the more our attitudes will change. And in that moment I glanced to the other end of the table at "the boy", my incredible bonus son. I instantly felt thankful that I'm his bonus mom. I'm able to fulfill the motherly desires I have by cooking, cleaning, doing laundry, watching baseball games, listening to gross boy sounds, etc.! It's a fact that I didn't carry him in my womb, I wasn't there when he was born, I missed out on the first half of his life, I missed his first day of kindergarten, and all those other things a little girl dreams about her whole life. But it's also a fact that God answered a deep-hearted cry to Him to bless and unite our families in a way not experienced by most. Bonus parents, bonus in-laws, former spouses; we all get along and it's GREAT! The relationship has been anointed by God. 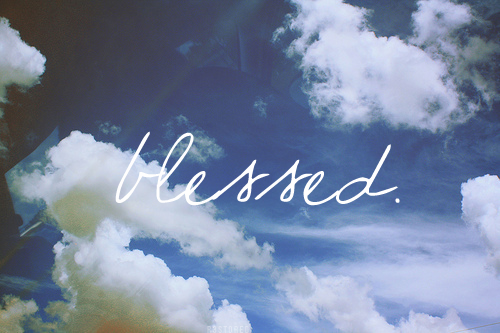 I'm blessed with a wonderful family, a great job, a comfortable home, two vehicles, good health (even through recent difficulties), and so many other blessings - as big or small as they may seem. My life is amazing. I just have to praise God for those incredible gifts and not dwell on what I don't have. That's Satan's nasty trick... to get us focused on what we don't have so we won't be grateful for what we have. We're human and can easily fall into complaining mode, but the more we thank Him and praise Him, the more aware of God's goodness we become. 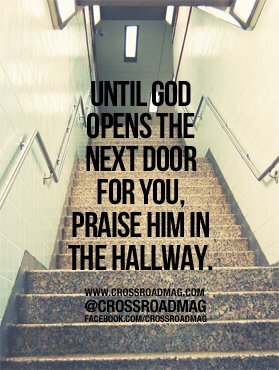 Every day presents itself with opportunities to worship God, whether they seem little or mighty. Through praise, our burdens don't seem so heavy and our life becomes a sweet fragrance to those around us. 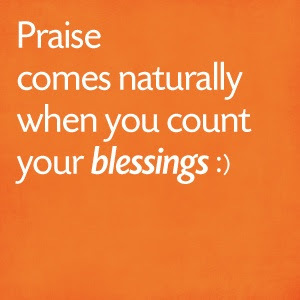 Give praise - it will transform you and others! any way for me to connect to you and talk to you personally? Definitely! If you're on Facebook, feel free to send a message on the Facebook page!